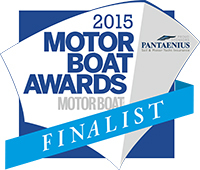 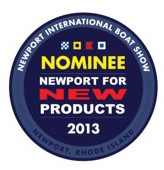 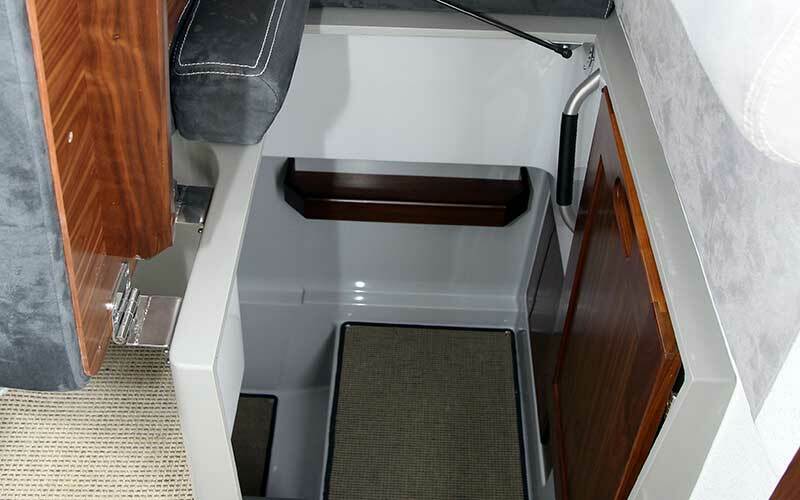 Quiet, seaworthy and convenient. 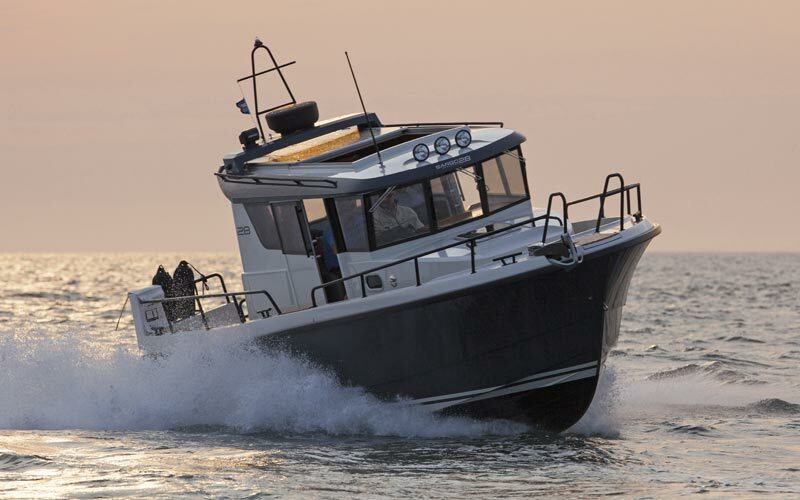 True performance with little noise. 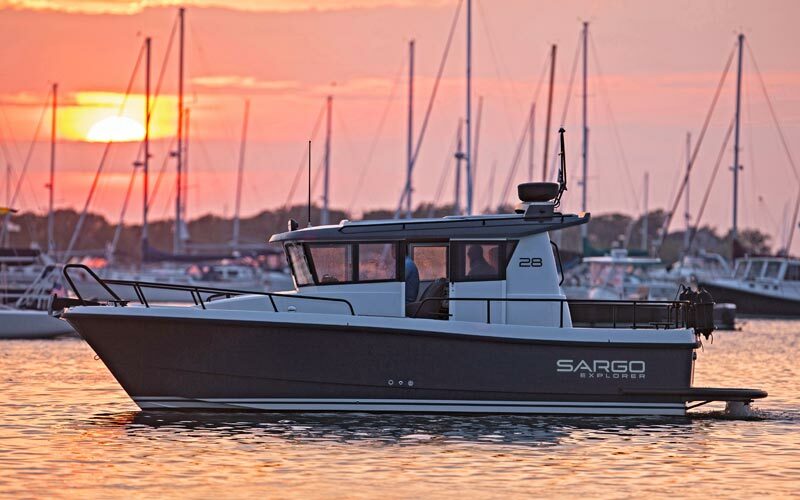 Even in rolling seas Sargo 28 Explorer offers not only great handling but a surprisingly comfortable ride as she effortlessly cuts through the seas. 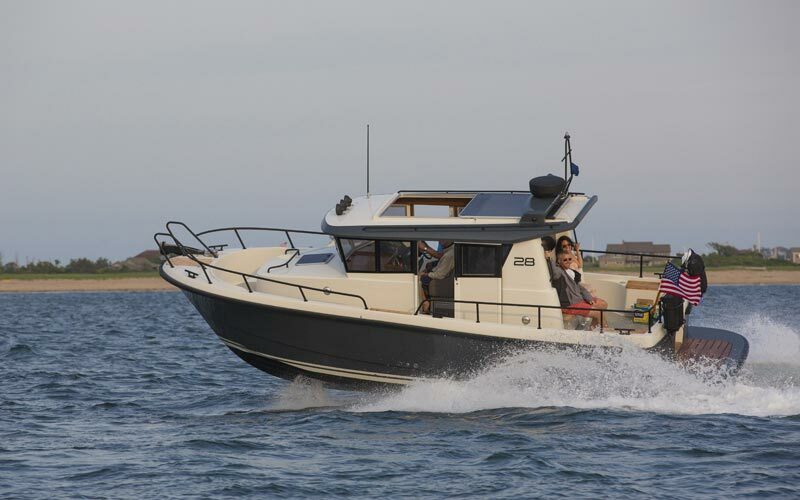 This sporty, yet spacious vessel features two separate cabins which makes it suitable for memorable family cruises. 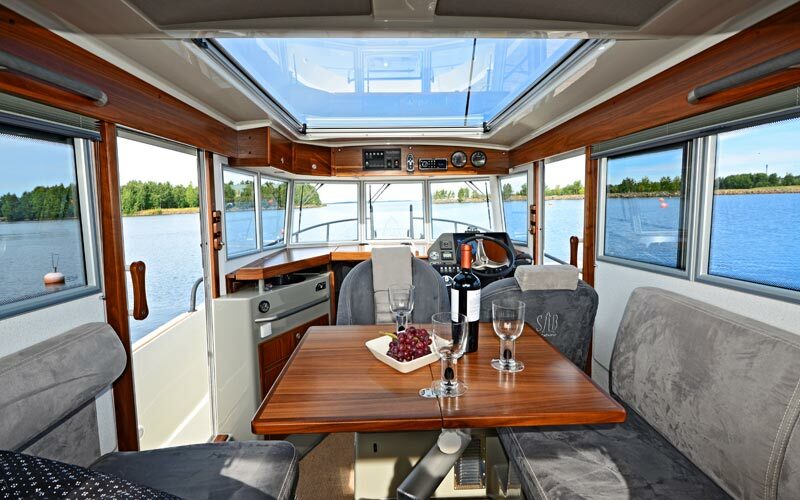 The aft deck is ideal for gatherings in the harbor. 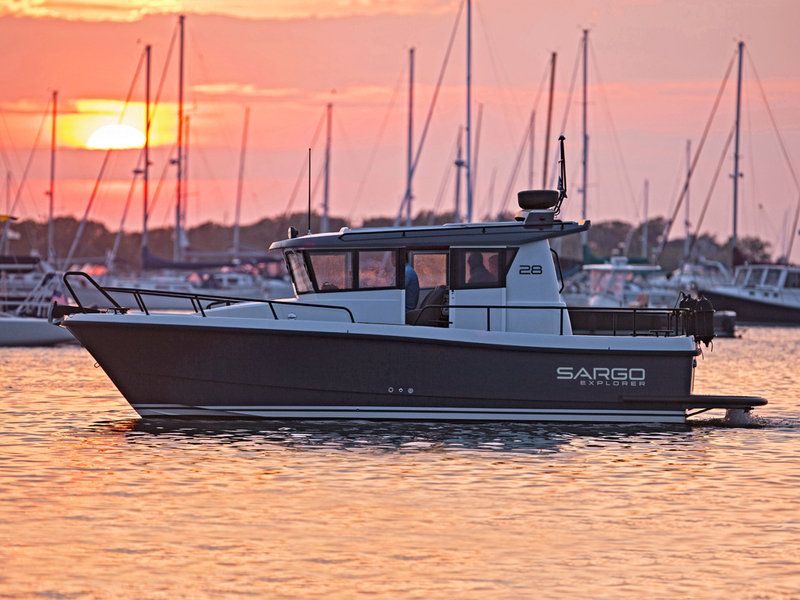 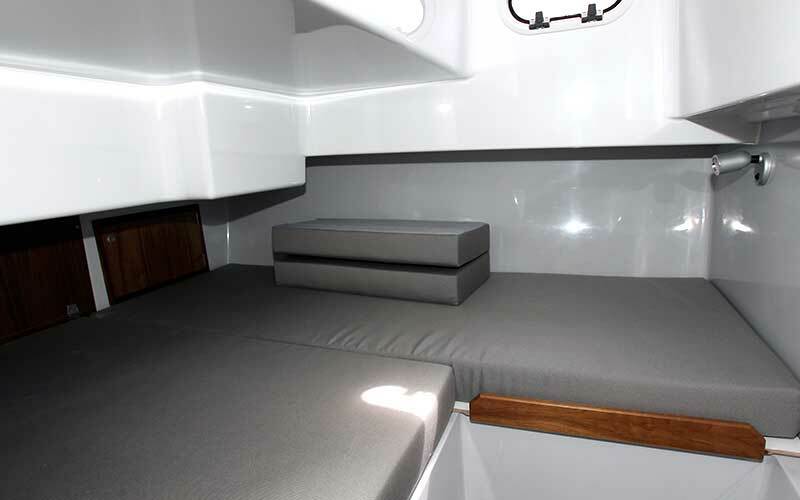 Sargo 28 Explorer is equipped with tinted glass side windows and marine window defrosters, while the front windows are non-tinted for better nighttime visibility. 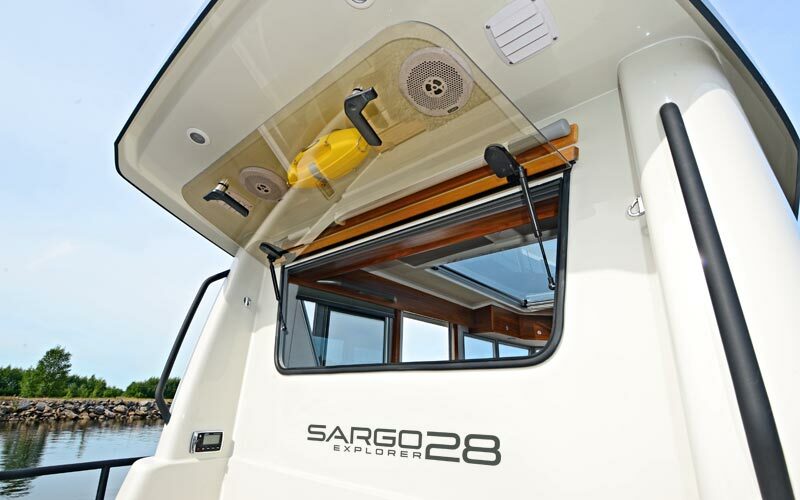 All windows are glued and frameless for better durability and easier maintenance. 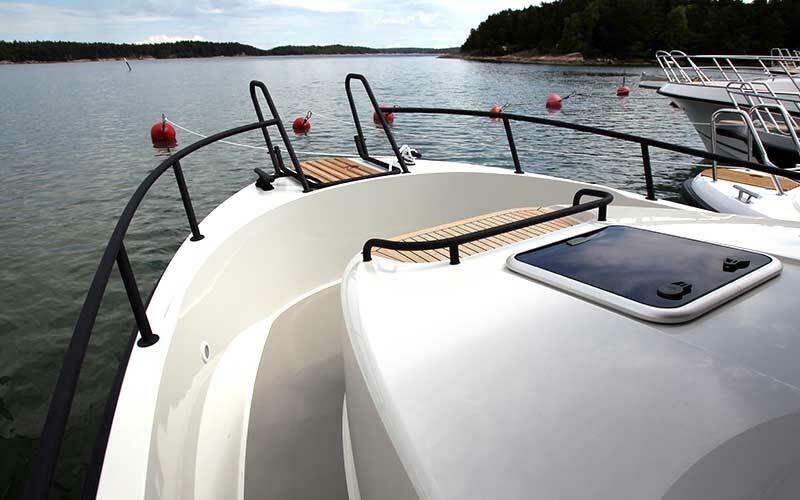 The rails with a stylish matte black finish are made exclusively of robust 30 mm marine grade stainless steel. 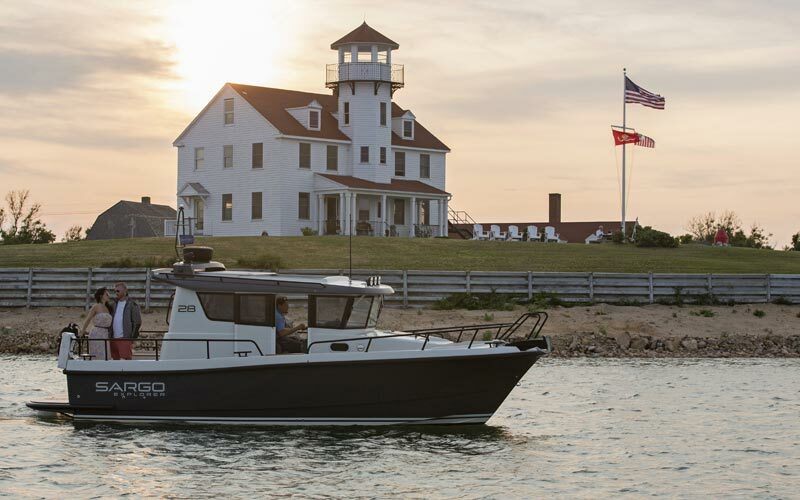 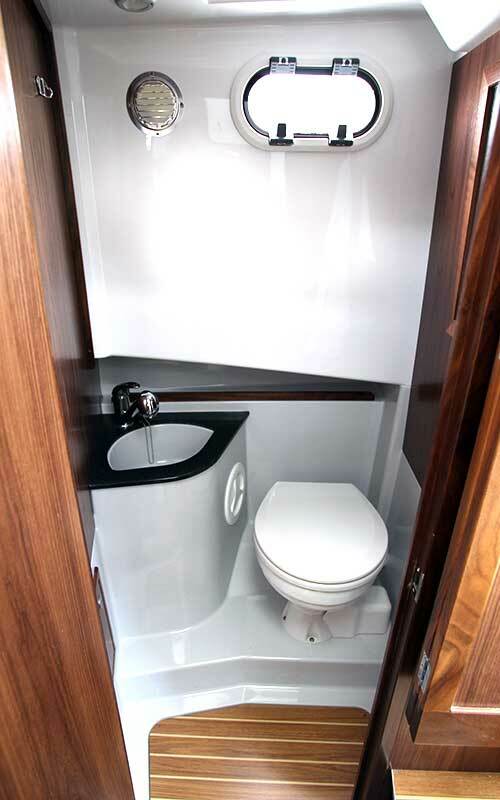 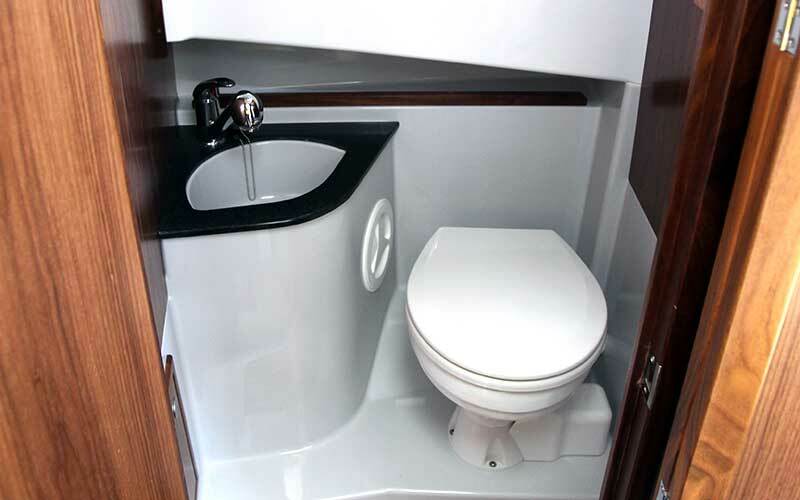 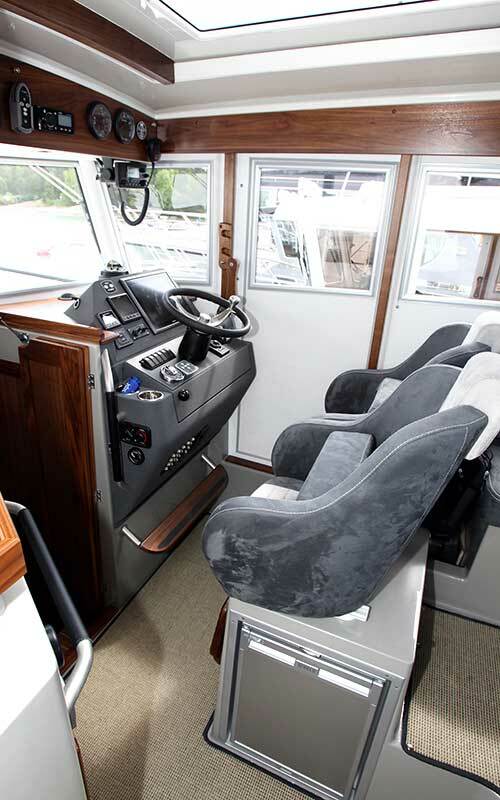 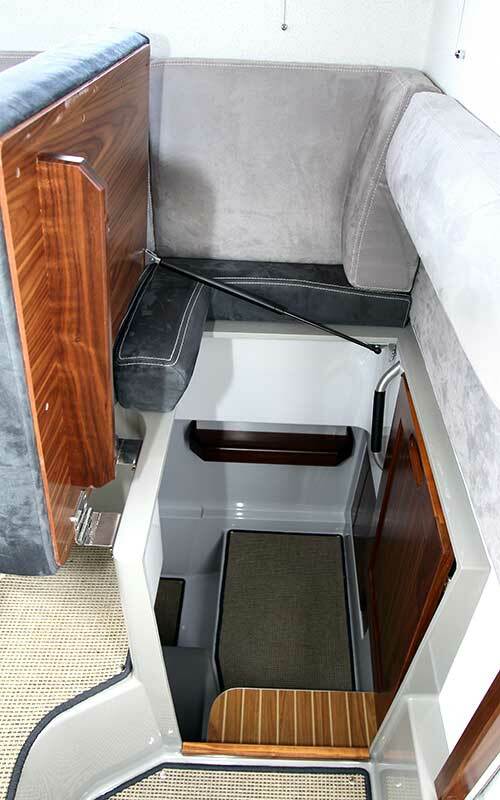 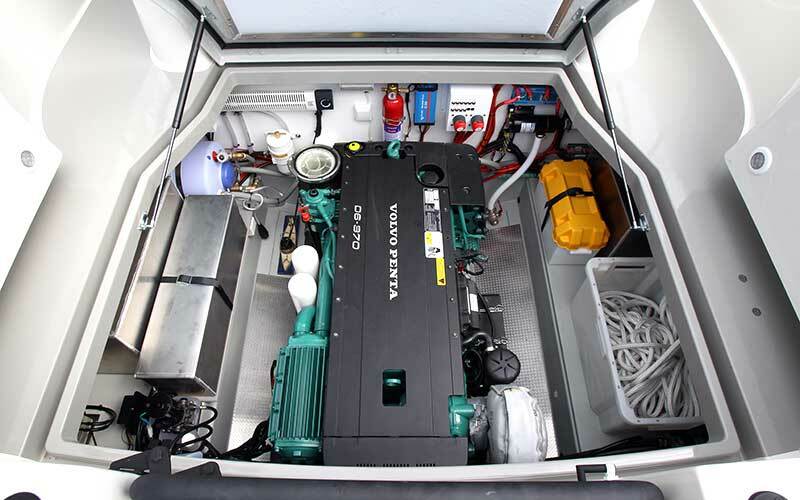 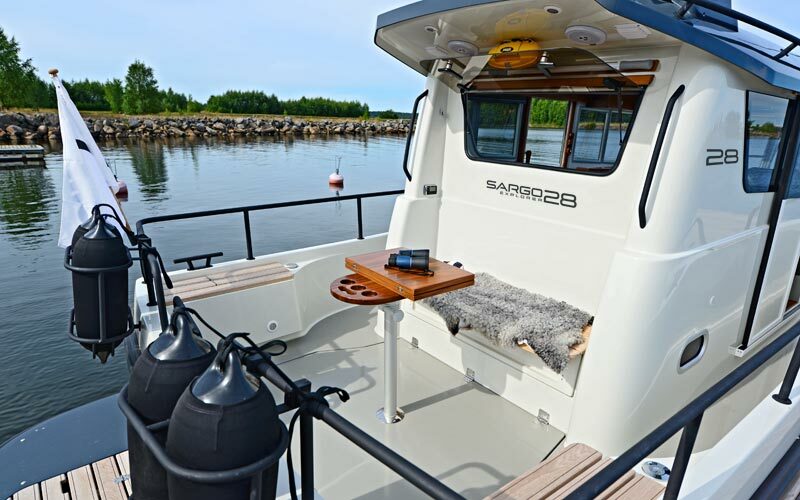 A longer boating season is ensured thanks to the well-insulated hull walls and cabins equipped with efficient heating and ventilation systems. 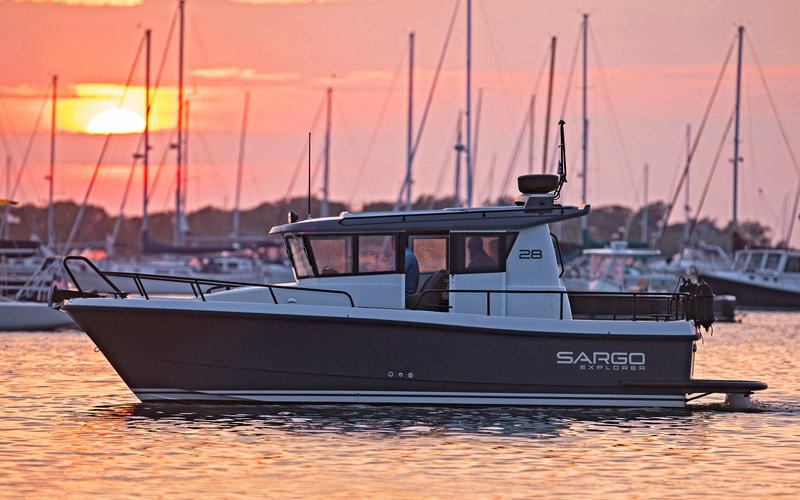 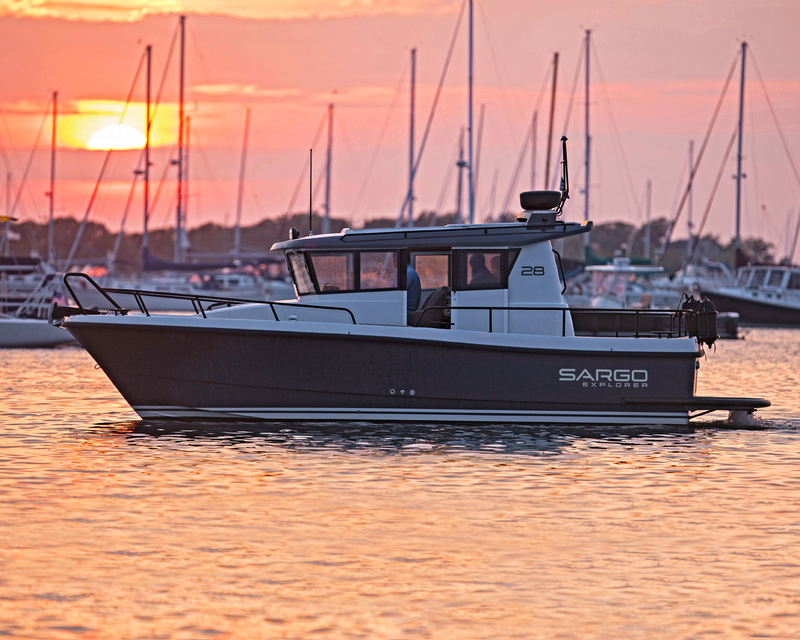 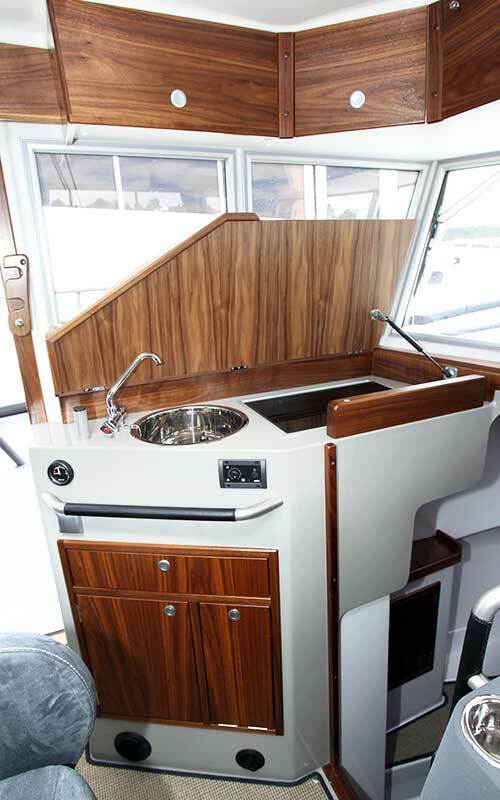 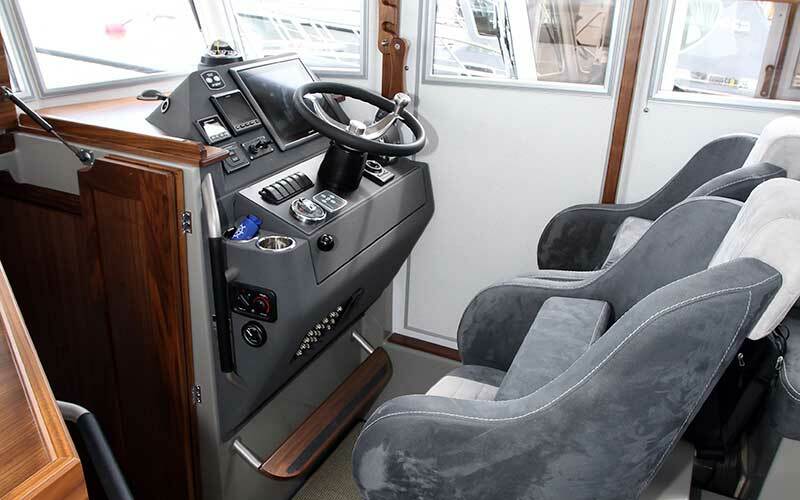 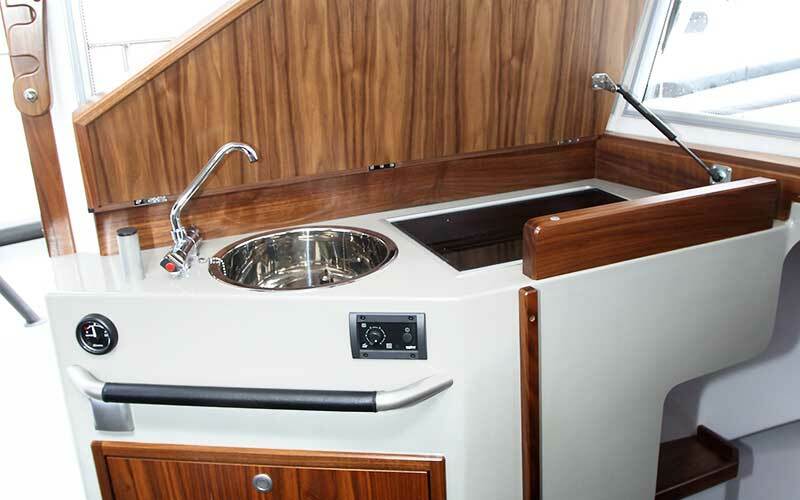 See Sargo 28 for more boat tests.